Posted On August 28, 2017 by &filed under Legal Articles. 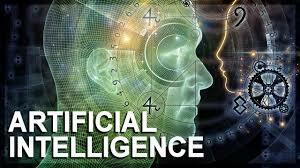 Advancement in technology and science is growing at such a pace that questions like the above of replacement of human skills by machines through AI are being debated at present. Traditionally Lawyers and Judges are thought to be dealing with problems of human beings demanding special skills and emotions which only human beings can possess. However, today a lot of work of Lawyers and Judges is being done or atleast supported by computers. However, at present most of the work which is done by the computer in this field is in the nature of typing, data feeding, data analysis, data search, templates and repetitive type of work. However, this article will demonstrate with examples how AI can take over a lot of work of Lawyers and Judges. A number of smartphones today feature virtual personal assistants such as Siri and Google. Large U.S. retailers such as Amazon and Target use AI to anticipate the needs of consumers through the use of predictive analytics. Financial institutions use it for fraud detection. Smart home devices have the ability to learn a person’s behaviour patterns by adjusting the settings of appliances or thermostats, while self-driving cars are inching their way to reality. And AI systems are detecting cancers. AI is being used for interviewing potential candidates for employment. Many Law enforcement officials in USA are using AI to predict when and where crimes are likely to occur. Many Law Firms in USA use AI to predict legal outcomes and to find out which Lawyers win before which judges ! In Europe AI reached the same verdict as Judges as the European Court of human rights in nearly 4 out of 5 cases involving torture, degrading treatment and privacy. ROSS Intelligence, a legal research platform also called the attorney robot is used in number of Law Firms in USA. ROSS asks questions to enhance reasons. It constantly monitors to law and uses its machine learning capabilities to continuously improve its results. IBM WATSON another question answering, Computer System is a machine which is able to answer your legal querries at home without approaching Lawyer. It not only have speech reorganisation but it is created to understand the intention of the words spoken. Another key feature is its ability to learn from its own success and failures. Blue J Legal : Another Canadian Legal startup busts that it is able to predict with greater than 90% accuracy what a court would hold in different circumstances. Coming to India Aniruddha Yadav, an Engineer has founded a new Law tech startup “ Case mine”. It guides Lawyers through different types of work, while connecting them to relevant templates, documents and precedents. Judges can upload both the Appellants submission and the Respondents submission and within seconds see whether both parties are missing out and important precedent and lines of thought that are important to the case. Mumbai based Law Firm Cyril Amalchand mangaldas has adopted Canada based machine learning legal system ‘KIRA’ which has striking efficiency gains. Computers don’t get tired, don’t get hungry, don’t get sleep! i.e. they don’t get biological problems of human beings. Computers are away from human prejudices. It will increase job opportunities for youngsters. Unstructured human interactions being key part of Lawyering and Judging is extremely difficult to automate. Computers cannot articulate the diverse emotional states of human beings. Computers may be able to read or analysis sentences but may not be able to understand and summarise entire paragraph. Lawyering requires conceptual creativity and flexibility which are beyond current scope of computers. By delegating and increasing amount of tasks to machines, there is a danger that existing skills will atrophy. Regulation of technology may become necessary with possible negative usages of AI. It is thus clear that two views emerge, one holding that given the reach of AI at this point of time, it will remain as an enabler or supporter of the legal field. But not as replacement of lawyers and judges. However the other view holds that Computers and Machines with AI have not only an ability to store and deliver but also an ability to learn. If scientists focus on this ability to learn, the notion of robots replacing lawyers and judges may well become reality. 100 queries in 0.208 seconds.